I’m forever grateful to the friend that introduced me to CrossFit. 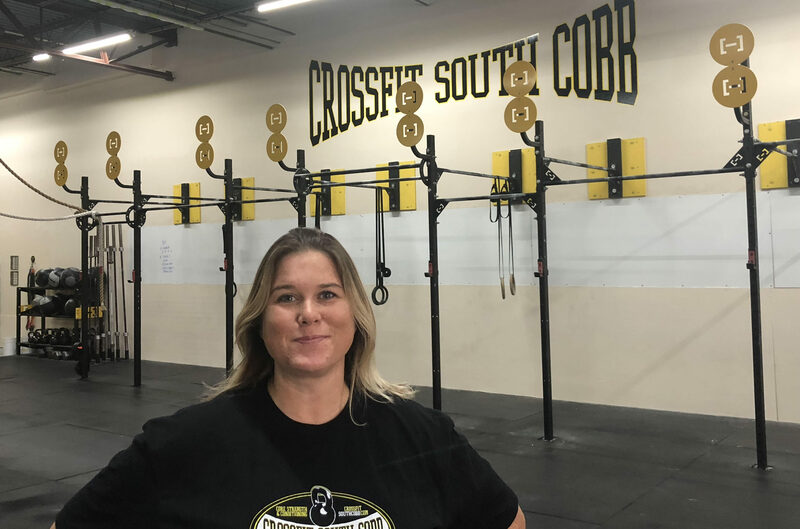 I actually started with some personal training sessions before falling in love with the gym culture and CrossFit South Cobb. I’ve been going strong since 2014 and have never met a group of more encouraging and motivating people. A native of Kentucky (Go Cats! ), my family and I have lived in Smyrna GA since 2001. My husband (Aaron) and I have 3 kids Bella, Patrick & Henry. I spend most of my days on softball fields following my competitive daughter. She obviously gets it from me, afterall I played softball, tennis, and was even on the first girls soccer team at my high school! I’ve always loved sports because of the competitive culture and the social aspect, which is one of the things that attracted me to CrossFit. That, and the fact that anyone can do it regardless of age, size or health factors. I love that everyday we do something different at the gym. I’ve met some of my closest friends at CFSC and feel like we have an awesome community!! I am very excited to help you all achieve your goals!